Attention! Before making the purchase, read the description carefully. 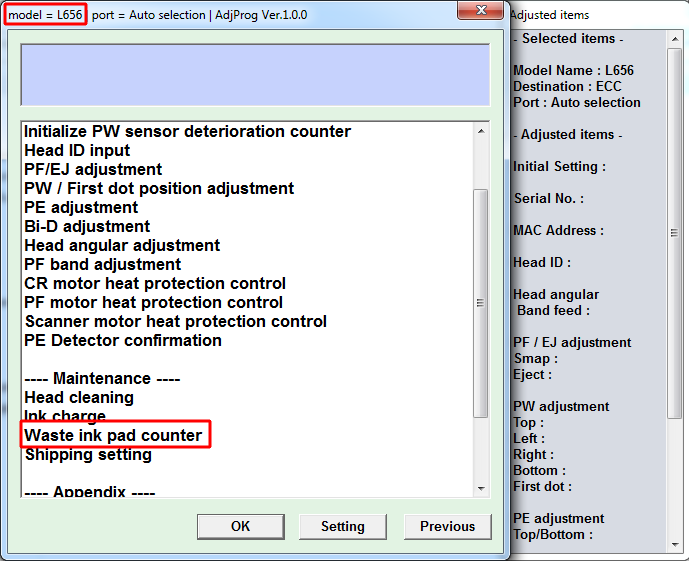 Adjustment program Epson L656 - is a tool that allows you to reset the counter diaper (otrbotka, absorber) an unlimited number of times, prescribe ID printhead, make printer initialization and other functions. The program will only work on a single computer that you receive an activation key. Windows can be reinstalled and re-activate the program obtain an activation key. computer configuration can not be changed if you change the hard disk or a computer processor, the program will no longer be activated and have to re-buy the activation key. After the payment program and download it, be sure to remove it from the file using the archiver program, for example, Winrar. 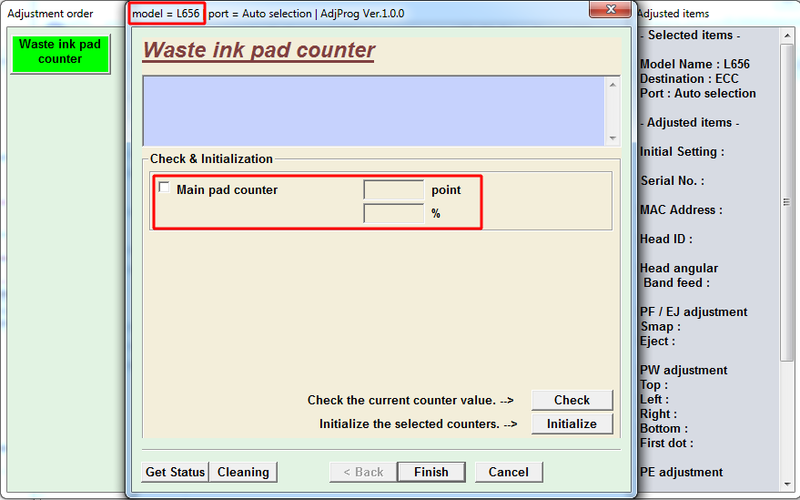 Start Adjprog.exe program by double-clicking. 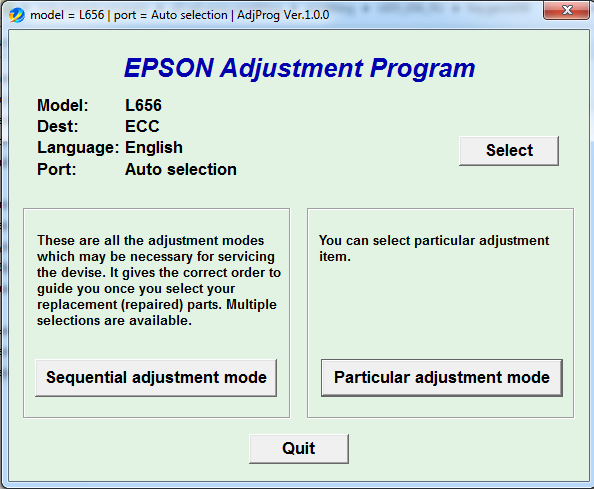 A window with Hardware ID number, copy this number and send an email with the subject printb@bk.ru "I bought you a program Adjustment program Epson L656". We will send you back the activation code that you insert into an already running program and click Register. Note the activation code we send do not always instantaneous, as This procedure is done manually, often it takes 5 to 30 minutes. AND ALWAYS LEAVE COMMENT TO PURCHASE !!! THANK YOU!! !